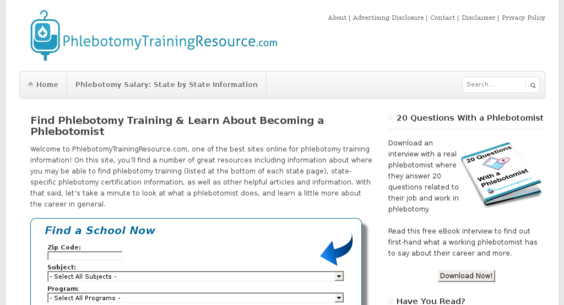 PhlebotomyTrainingResource.com — Website Sold on Flippa: 3 y/o Aged Site - $463/Mo Avg Organic Traffic Affiliate Income NO RESERVE! 3 y/o Aged Site - $463/Mo Avg Organic Traffic Affiliate Income NO RESERVE! PhlebotomyTrainingResource.com is an established, 3-year old EDU lead gen affiliate income site that has consistently generated income month after month! TONS of potential! See more below.